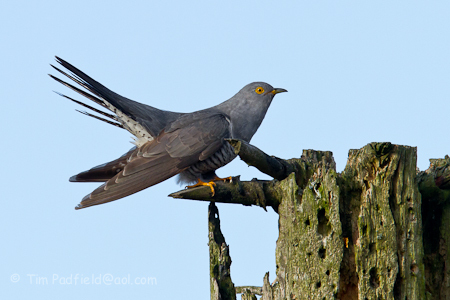 Last year i tried photographing the Cuckoo’s near where i live, with limited success , This year i’ve been watching them for a couple of days , noting the posts they like to call from. Today i set up near one of the posts by about 6-30am and waited , two male Cuckoo’s were calling from various places all around me for quite a time , Eventually after two hours my waiting paid off with a male landing briefly on the post in front of me .I waited another hour with nothing doing , so packed up and got back in the Truck. 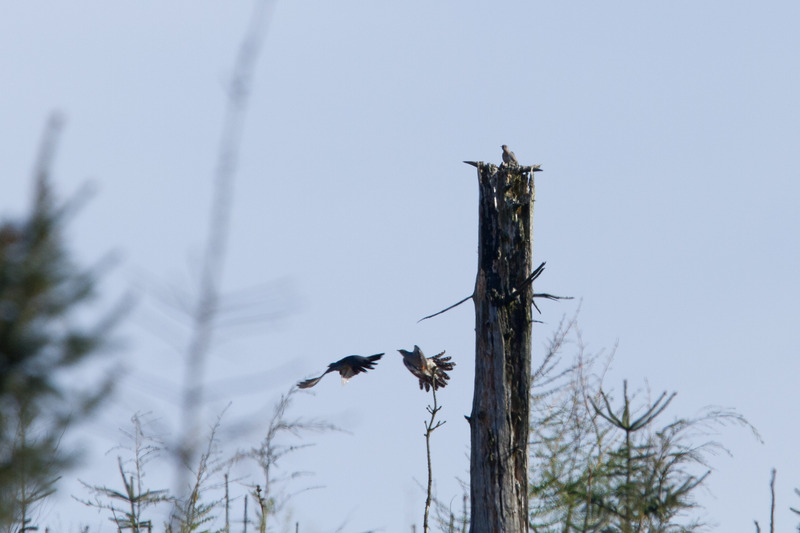 As i was driving off , A Female Cuckoo flashed across the lane in front of me , i stopped and watched it land on the post where i’d been sitting – aaaaarggggh! followed by the two males who had a brief tussle around her !!! if i had only waited another 10 minutes !